Earlier this month, the Consumer Financial Protection Bureau banned banks and other financial institutions from blocking consumers' rights to file class action lawsuits. Today, GOP lawmakers in Congress began efforts to block the CFPB's action. 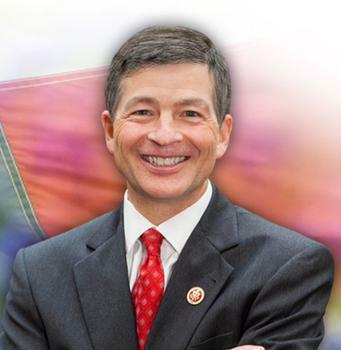 "This bad rule must be reversed," said Rep. Jeb Hensarling (R-Texas), House Financial Services Committee Chairman as he announced he would introduce a Congressional Review Act (CRA) resolution of disapproval to repeal the arbitration rule, with a floor vote in the House coming as early as Tuesday. Sen. Mike Crapo (R-Idaho) is expected to introduce a similar resolution in the Senate this week. The CRA allows a new regulation to be eliminated with a simple majority in both chambers. Several of former President Obama's late-term regulations have already been eliminated through the CRA. Consumer groups were quick to respond. "The CRA introductions follow a new poll showing that three out of four voters support the CFPB’s mission and that two out of three voters back the ban on forced arbitration rip-off clauses in consumer financial contracts," said Lisa Gilbert, Public Citizen's vice president of legislative affairs in a prepared statement. "Big banks and other financial entities such as payday lenders bury 'rip-off clauses' in the fine print of take-it-or-leave-it contracts to block class-action lawsuits and push disputes into secret and rigged proceedings biased toward companies," Gilbert said. "Since few consumers can afford to fight small-dollar disputes by themselves, banks can trick and trap customers with illegal charges and then pocket billions in stolen money." CFPB Director Richard Cordray said arbitration clauses "allow companies to avoid accountability by blocking group lawsuits and forcing people to go it alone or give up. Our new rule will stop companies from sidestepping the courts and ensure that people who are harmed together can take action together." The U.S. Chamber of Commerce disputed that and said the arbitration rule would "pad the wallets of trial lawyers by foreclosing consumers’ access to subsidized arbitration and forcing them into class action lawsuits. That outcome would be very bad for consumers."